Voted one of the 7 New Natural Wonders of the World, Table Mountain cable way is Cape Town’s most iconic attraction. A trip up the cableway will expose you to the stony beauty of its sheer cliffs and introduce you to the local fynbos flora – endemic to the Western Cape. 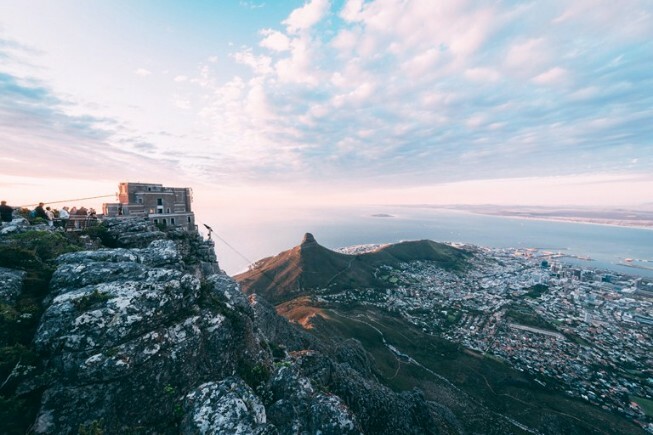 Upon reaching the summit you can look forward to spectacular 360 degrees of the Cape Peninsula and the oceans surrounding it, as well as the snaking mountain ridges of the Table Mountain National Park, which stretches all the way to Cape Point – the southeastern tip of Africa.